We have several Agriculture-related awards in Cattaraugus County. Blesy Farms, LLC has been selected by the Cattaraugus County Soil & Water Conservation District as the 2017 Conservation Farm of the Year. This award is presented by the Conservation District to a farm which has demonstrated a sincere commitment to the conservation and protection of our soil, water, and related natural resources. Blesy Farms is a family owned dairy operation including Harold, Nathan, Brandon Blesy & their farmilies. The farm has worked closely and cooperatively over the years with the Cattaraugus Co. SWCD, as well as with partner organizations such as the WNY Crop Management Association to plan and implement several conservation projects on their farm. These projects include manure storage structures (most recently in 2016), nutrient management, silage leachate management, and cover crops to prevent erosion and improve soil health. On-going participation in the Agricultural Environmental Management (AEM) program helps the farm keep up to date in addressing current environmental needs on their operation. The family operated, medium sized Nichols Dairy Farm located in the Town of Freedom owned and operated by Doug and Betty Nichols and family. This award was presented to them because of their commitment to protecting and improving the soil, water and related natural resources on their farm. Read more about the 2012 Farmer-Neighbor Dinner. Pumpkinville is a 200 acre farm owned by Dan & Diane Pawlowski and their children – son, Jim and wife, Melissa, daughter Lisa, and son-in-law Greg Spako. 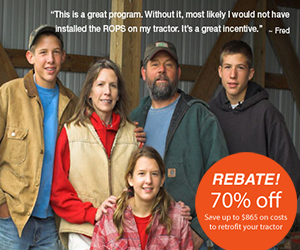 Each family member contributes individual talents and takes on responsibilities instrumental to the success of the farm. In addition to the family members, over 100 seasonal employees help keep Pumpkinville running smoothly. Pumpkinville promotes family fun on the farm. Every year in seven weeks over 80,000 visitors from many different states and countries enjoy coming to Pumpkinville for a unique fall experience. Pumpkinville grows larger each year as new activities and products are added. Randy Sprague began sugarin' thirty years ago on a small scale, as a hobby. "I used to visit the Deschler Farm when I was a kid," says Randy, " and I would watch Van Deschler making and finishing maple syrup. I just fell in love with it." In the beginning, Randy would just make enough syrup for the family's use or to give a little away. A couple of years later, he decided to expand into a commercial operation, which meant a major shift with larger equipment. “We had to increase the number of taps we were putting out," he continues, "from a few hundred to now over 20,000. We have purchased several pieces of property, and also rented taps from other owners." The sugarin' season is short and intense, generally from mid February to the end of March. The harvesting of maple sap is totally weather dependent. Maple sap is a diluted liquid, with only 2% sugar content. You have to boil away 40-45 gallons of sap to make one gallon of syrup. Sprague’s Maple Farms is an agritourism business, meaning that it falls both within the agricultural farming industry and also within the tourism industry. Sprague’s Maple Farms has been and continues to be an area attraction that allows people to see the maple operation from the tree to the table. There is a lot of history in sugaring, which has been passed down through generations. At Sprague’s you are able to see the tradition of the industry, with a real hands-on feel. Marked trails make it possible to learn about the history of maple sugarin’ all year long. The family operated, medium sized Telaak Dairy Farm, located in the Town of Mansfield run by brothers Don and Dave Telaak and their wives, Lynn and Joyce, along with 10 employees. This award was presented to them because of their commitment to portraying a positive image and promoting the importance of the agricultural industry throughout the County. Read more about the 2012 Farmer-Neighbor Dinner. 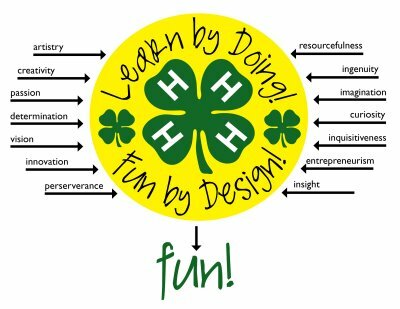 Lloyd supports many different types of agriculture events and activities such as the Future Farmers of America (FFA), 4-H, the Cattaraugus, Erie, Allegany and, Wyoming County Fairs, and The Cattaraugus County Farmer-Neighbor Dinner. In his earlier years, he received the National FFA Award. 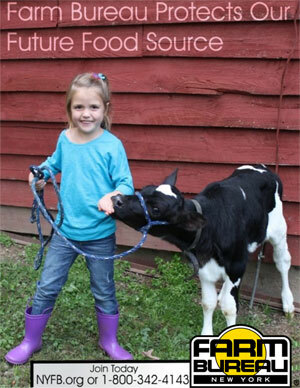 Lisa Kempisty, a 28 year Community Educator for Dairy/Livestock for Cornell Cooperative Extension. Ms. Kempisty teaches dairy and livestock producers, family members and farm employees production management information, works with the 4-H youth and facilitates the Dairy Youth Explorers Program. Read more about the 2012 Farmer-Neighbor Dinner. View Dairy of Distinction awards from Cattaraugus County on DairyOfDistinction.com.